The intense pink colour combined with soft white edging make Isabella hard to resist! Isabella is a very sturdy double lily and like all lilies, will increase in strength and height each year. 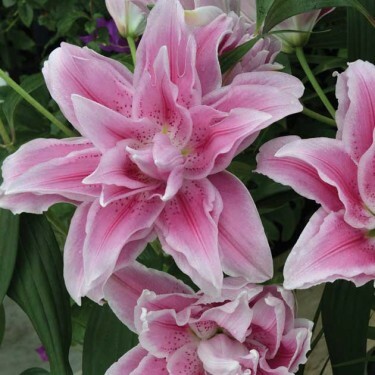 The flowers are large, sweetly fragrant and the many shades of pink and dark freckles will delight you.